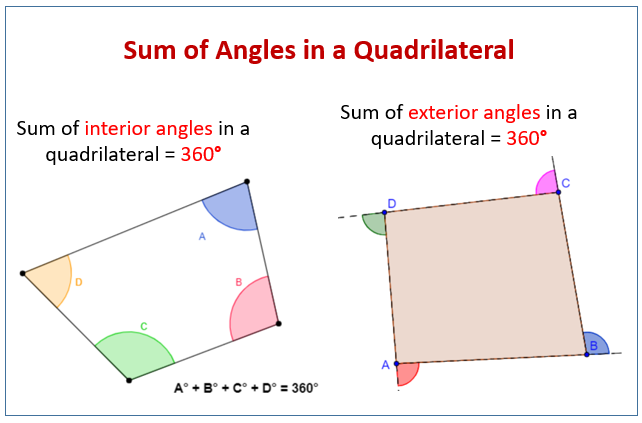 Examples, solutions, and videos to help GCSE Maths students learn how to find the interior and exterior angles of quadrilaterals. The following diagrams show that the sum of interior angles of a quadrilateral is 360° and the sum of exterior angles of a quadrilateral is 360°. Scroll down the page for more examples and solutions on how to find interior and exterior angles of quadrilaterals.